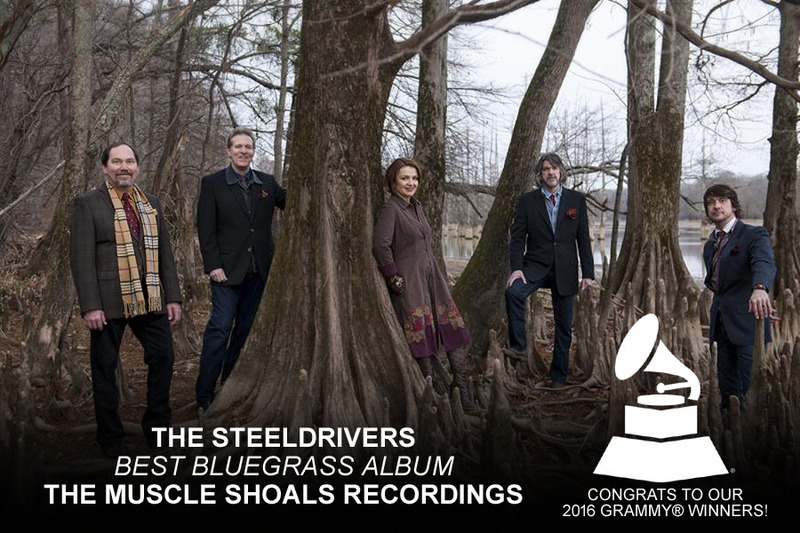 Nashville powerhouse group The SteelDrivers received their first GRAMMY win today for Best Bluegrass Album for The Muscle Shoals Recordings. This is the group’s fourth career nomination. The critically-acclaimed album, released June 16 on Rounder Records, debuted at #1 on the Billboard Bluegrass Chart and achieved the highest first-week sales in the band’s history. “It is a great year to be sharing awards with Jason Isbell, Chris Stapleton and Alabama Shakes — it just feels like the right time for all of us!” says fiddle player, vocalist and songwriter Tammy Rogers. The Muscle Shoals Recordings is the fifth release from The SteelDrivers, made up of Richard Bailey, Mike Fleming, Gary Nichols, Tammy Rogers and Brent Truitt. The Grammy-winning group produce “uneasy listening” music, a unique blend of bluegrass and soul that has inspired praise from critics and audiences for years, and The Muscle Shoals Recordings is no exception.